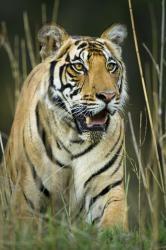 Male Bengal Tiger (Panthera tigris tigris) walking through long grass. Kanha National Park, Madhya Pradesh, India. : Image credit Nick garbutt via Oregon State University.Aiming to stop the looming extinction of large wild-animal species across the globe, a group of international conservation scientists has issued a call for actions to halt further declines. In today’s edition of the journal BioScience, 43 wildlife experts from six continents note that an extinction crisis is unfolding for large mammals, from those that are poorly known, such as the scimitar-horned oryx, to more familiar species such as gorillas and rhinoceroses. They have issued a 13-point declaration that calls for acknowledgement of threats, a halt to harmful practices, a global commitment to conservation and recognition of a moral obligation to protect the planet’s large animals, or megafauna. Ripple has studied the ecological effects of predators such as cougar and wolves in North America, and collaborated with other wildlife experts to analyze global trends facing large carnivores — wolves, lions, tigers and bears — as well as large herbivores, including elephants, rhinos, zebras and tapirs. Among the most serious threats to endangered animals, they wrote, are the expansion of livestock and crop operations, illegal hunting, deforestation and human population growth. “Human communities stand to lose key elements of their natural heritage if megafauna species are allowed to go extinct,” said co-author Peter Lindsey of Panthera, a nonprofit organization dedicated to conserving wild cat species. The scientists call for action on two fronts: expanded interventions at scales that are relevant to animals’ habitat needs, and large-scale policy shifts to alter the ways in which people interact with large animals. 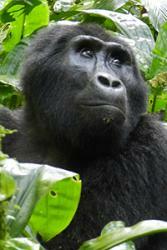 The authors emphasized that some conservation initiatives have had success. However, they added, the resources for effective implementation of conservation strategies are seldom available in regions with the greatest needs. “Therefore,” they wrote, “the onus is on developed countries, which have long ago lost most of their megafauna,” to conserve their own species and to support initiatives in other regions. The article is published in six languages in addition to English: Spanish, French, Chinese, Malay, Portuguese and Thai. “The translations were provided by some of the co-authors,” said Ripple. Among Ripple’s co-authors are Oregon State colleagues Michael Nelson, Robert Beschta and Christopher Wolf, all in the College of Forestry; and Taal Levi in the College of Agricultural Sciences. 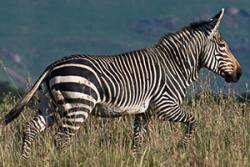 The Mountain zebra (Equus zebra). : Photo by Halska Hrabar via Oregon State University.Some of the other organizations represented among the authors include the International Union for the Conservation of Nature; World Wildlife Fund; the University of Oxford; the Swedish University of Agricultural Sciences; the University of Pretoria and Nelson Mandela University in South Africa; the Chinese Academy of Sciences and Beijing Normal University in China; the University of Sydney and the University of New South Wales in Australia; the Universidad Estadual Paulista in Brazil; the Wildlife Conservation Society in Bangalore, India; and the University of Nottingham Malaysia Campus.